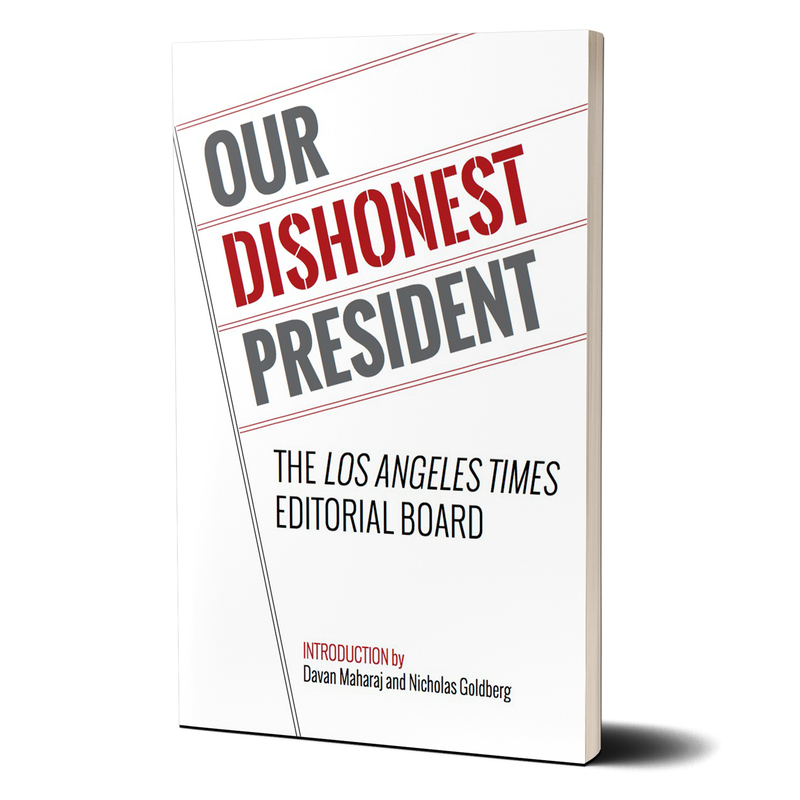 The immensely popular series of editorials by the Los Angeles Times Editorial Board delivers a formidable and indispensable critique of our nation's current leader. Paperback. 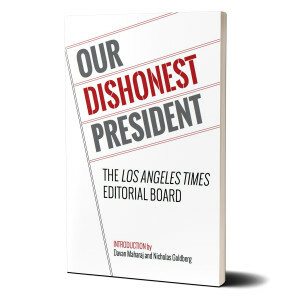 112 pages, 5" x 7"
Weeks before Donald J. Trump reached his first hundred days in office, the Los Angeles Times’s Editorial Board published the first of six consecutive denunciations calling him “Our Dishonest President.” The paper’s condemnation of Trump’s lies, his authoritarian temperament, his war on journalism, and his obsession with conspiracies was as bold as it was unprecedented, as was its call to Californians to oppose the brazen acts of a man patently unfit to preside over the republic. It prompted a tremendous response: within days, the series garnered seven million page views.